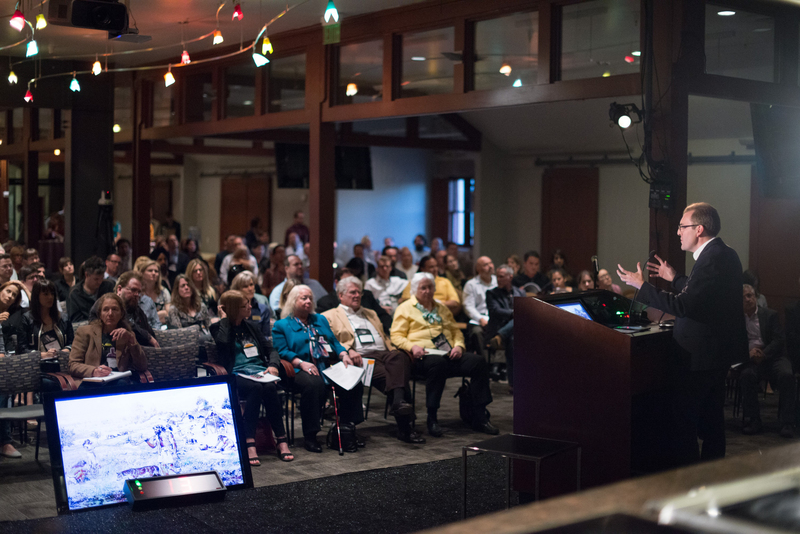 St. Helena, CA – More than 350 executives, thought leaders, and innovators in technology, behavior, design, and food gathered this past weekend at The Culinary Institute of America at Greystone in the Napa Valley for the first edition of reThink Food. 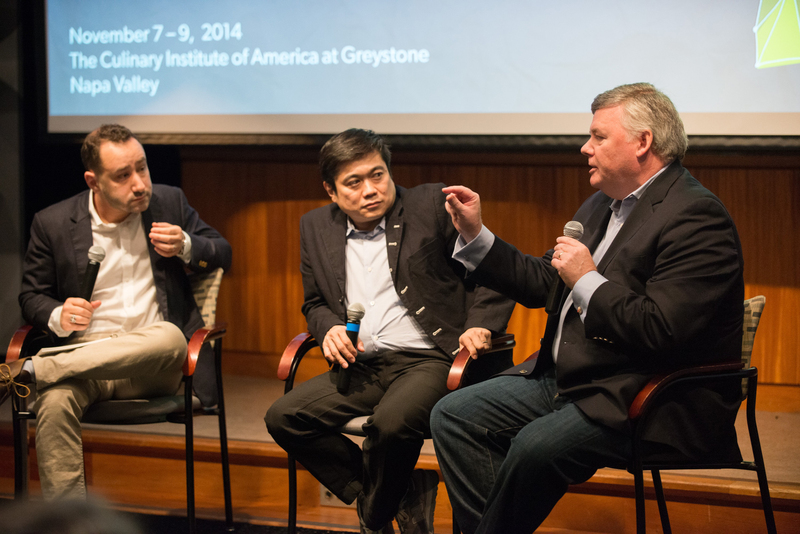 This groundbreaking conference, co-presented by the CIA and the MIT Media Lab, showcased insights into the future of food and the integration of technology in that future, and imagined a new revolution in food and foodservice. Ryan shared the stage with Media Lab Director Joi Ito, who spoke about the way food brings together so many different, seemingly disparate areas—art, science, and design—much the way the MIT Media Lab does. "At the Lab we routinely break down entrenched silos, and see a need to do the same for the food sector," said Ito. "Today's consumers not only want to know more about what they're eating, but also how it's produced, transported, and packaged. Going forward, everyone from growers, to food technologists, to chefs, will be taking on new, interconnected roles in reshaping how we think about, prepare, and consume our food." Keynote speaker Tom Standage, journalist at The Economist and author of books that track the culture of food (An Edible History of Humanity) and the rise of technology (Writing on the Wall), opened the conference with an illuminating review of the key historical milestones in food and technology that brought us to where we are today. 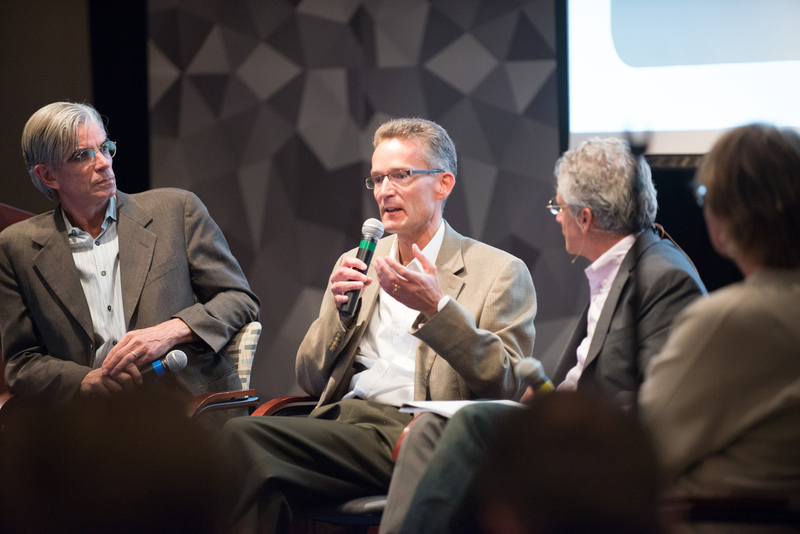 Other presenters, including Will Rosenzweig of Physic Ventures, Pulitzer Prize winner Michael Moss, and Google’s Michiel Bakker, discussed technology’s evolving role in food innovation as well as the consumer’s changing response to technology when it comes to eating and cooking. Breakthroughs in neuroscience also reveal what role our brain plays in food choices. Scientists Lisa Mosconi of NYU School of Medicine, Ki Goosens of MIT’s McGovern Institute, and Daphne Miller from UC San Francisco reviewed how a better understanding of the relationship between body and environment could inform innovation in product development and healthier eating habits. Other discussion topics included how technology might change how we shop for food, our food supply in local and global perspectives, and how the design of our food environments affects what we eat. Throughout the three days, eyes and ears were on the future—what will our culinary future look like and who will shape it across the next five, 10, or 20 years? What we consume, how we procure it, and the relationship between man and machine in that process are at the center of large-scale changes that we don’t fully understand. The CIA and the MIT Media Lab, through reThink Food, gathered a community committed to uncovering these changes so we can responsibly prepare for the future. Additional information, including video from a live webcast of the conference, can be found on the website, www.re-thinkfood.org. Founded in 1946, The Culinary Institute of America is an independent, not-for-profit college offering associate and bachelor's degrees with majors in culinary arts, baking and pastry arts, and culinary science, as well as certificate programs in culinary arts and wine and beverage studies. As the world's premier culinary college, the CIA provides thought leadership in the areas of health & wellness, sustainability, and world cuisines & cultures through research and conferences. The CIA has a network of 46,000 alumni that includes industry leaders and innovators. The CIA also offers courses for professionals and enthusiasts, as well as consulting services in support of innovation for the foodservice and hospitality industry. The college has campuses in Hyde Park, NY; St. Helena, CA; San Antonio, TX; and Singapore. Actively promoting a unique, antidisciplinary culture, the MIT Media Lab goes beyond known boundaries and disciplines, encouraging the most unconventional mixing and matching of seemingly disparate research areas. It creates disruptive technologies that happen at the edges, pioneering such areas as wearable computing, tangible interfaces, and affective computing. Today, faculty members, research staff, and students at the Lab work in more than 25 research groups on more than 350 projects, from digital approaches for treating neurological disorders, to a stackable, electric car for sustainable cities, to advanced imaging technologies that can “see around a corner.” The Lab is committed to looking beyond the obvious to ask the questions not yet asked whose answers could radically improve the way people live, learn, express themselves, work, and play.